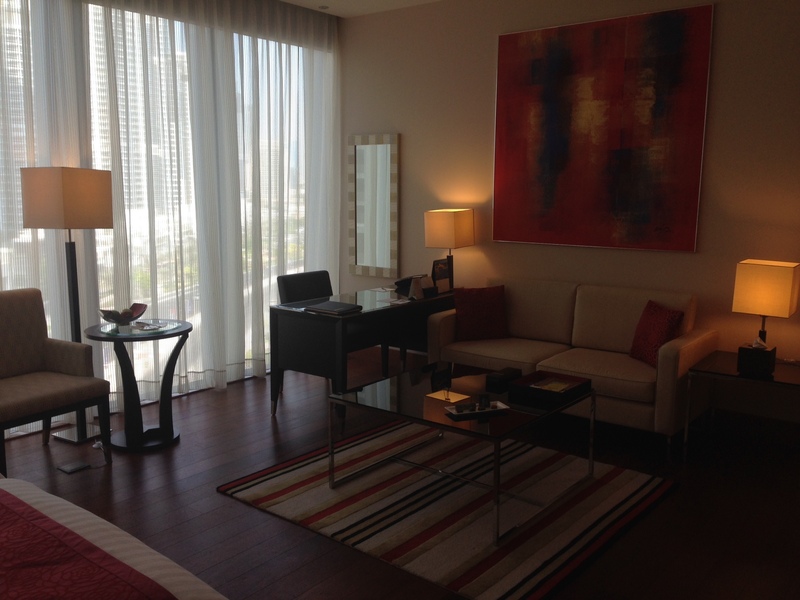 The Oberoi Dubai is one of the finest hotels I have ever stayed at in Dubai! It was the first time I stayed at an Oberoi hotel and was truly blown away by the service and overall quality of the property! 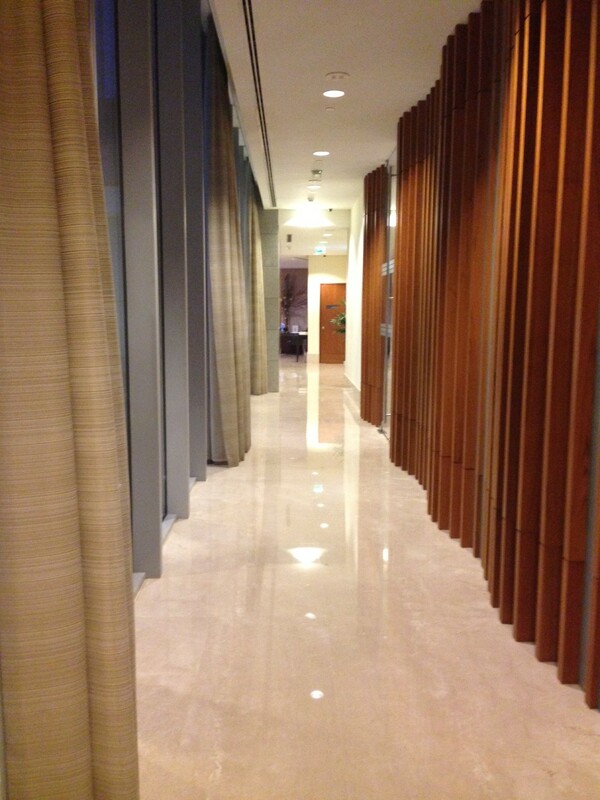 Located in the business bay area, it is very conveniently located for both business and leisure guests. 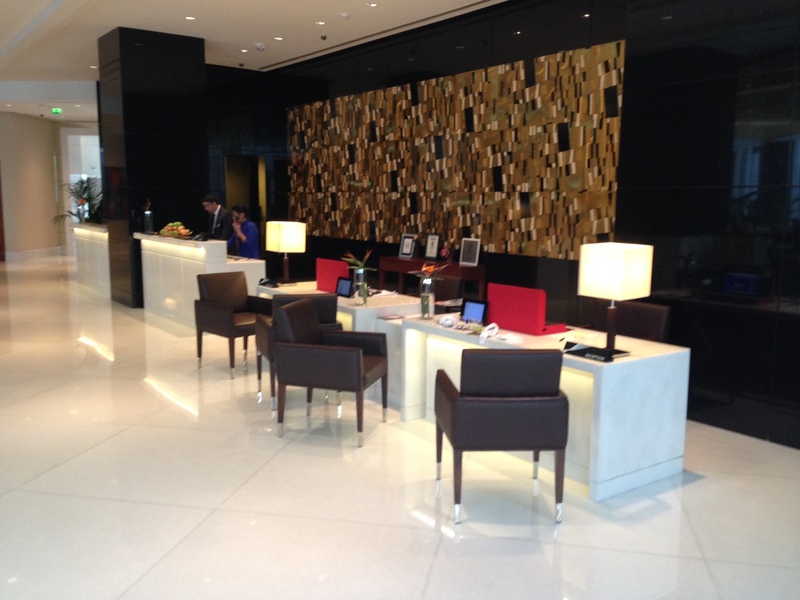 As soon as you enter the hotel, they make you feel welcome! I actually felt “home” after the first night and that means a lot. Every single staff member greeted us with a smile and were happy to fulfill every request we had with a smile. It was really impressive and unseen in any other 5 star property. Every room in this Oberoi hotel is spacious. 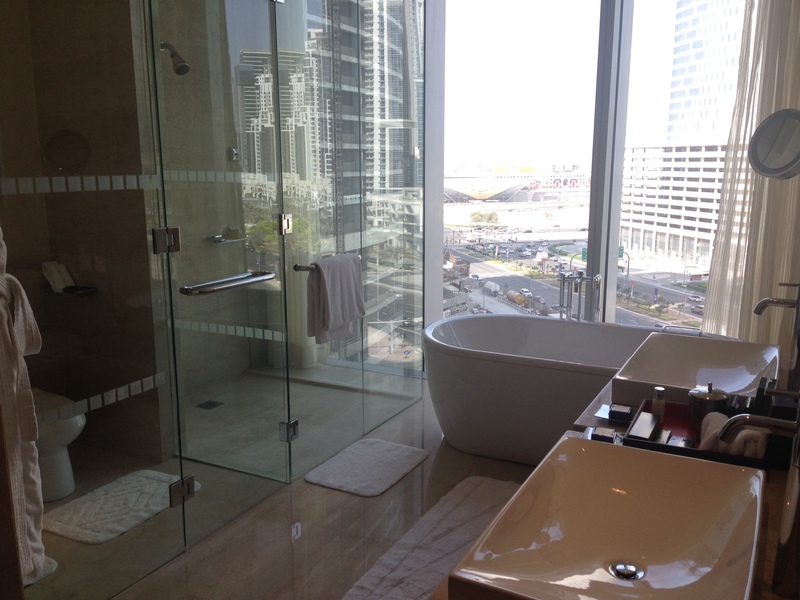 We stayed in a superior deluxe room and at 52 m² it definitely is one of the largest rooms one could find in Dubai. 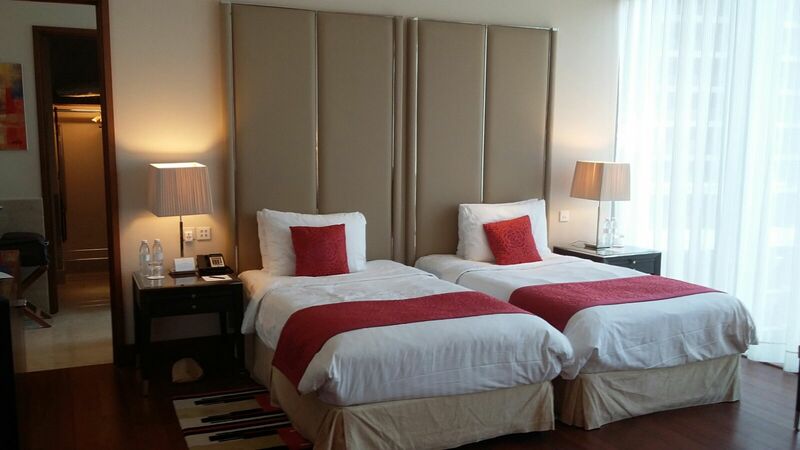 Every guest will be escorted to the room and they explain everything you need to know about the in-room facilities. We liked the small sitting area with comfortable couch and oversized working desk. 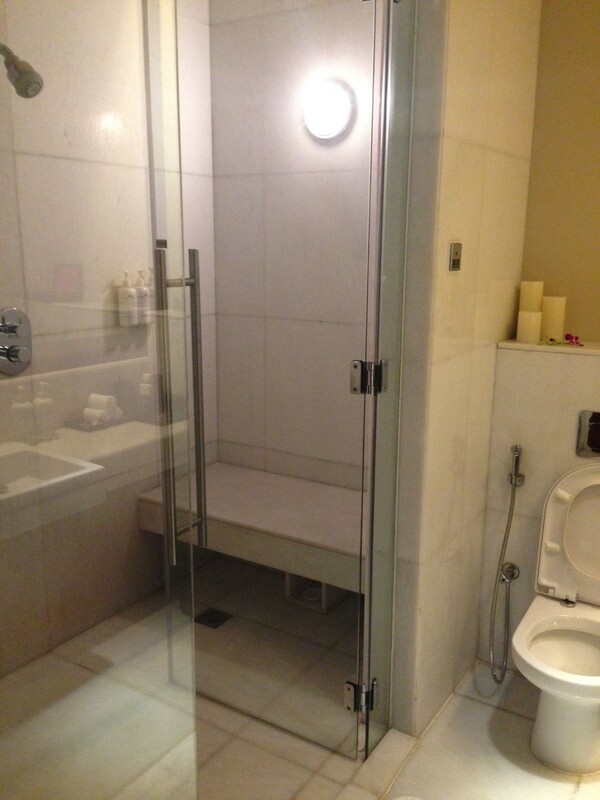 The bathroom was to die for, so beautiful and oh-so-clean! There’s a butler-service here which is very convenient as you just have to take the phone and make the requests you might have. 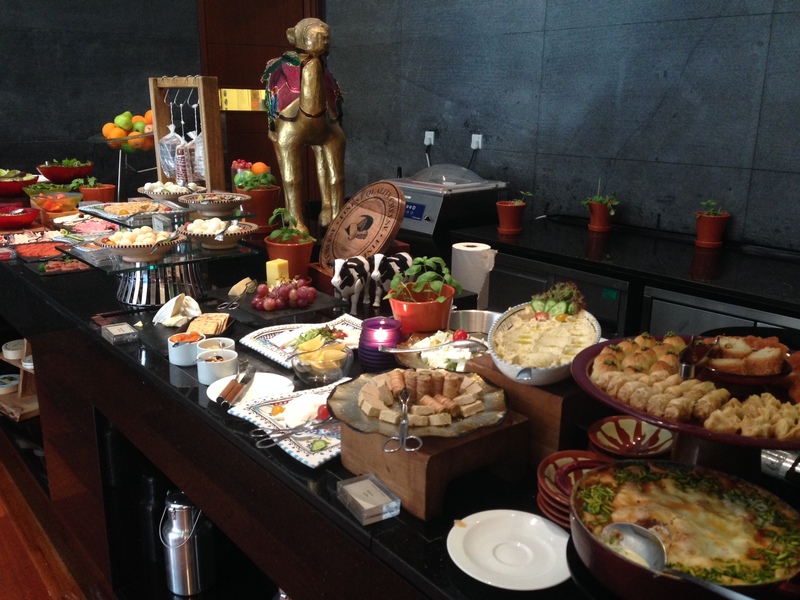 You could never get bored at the Oberoi Dubai, there is so much going on here. 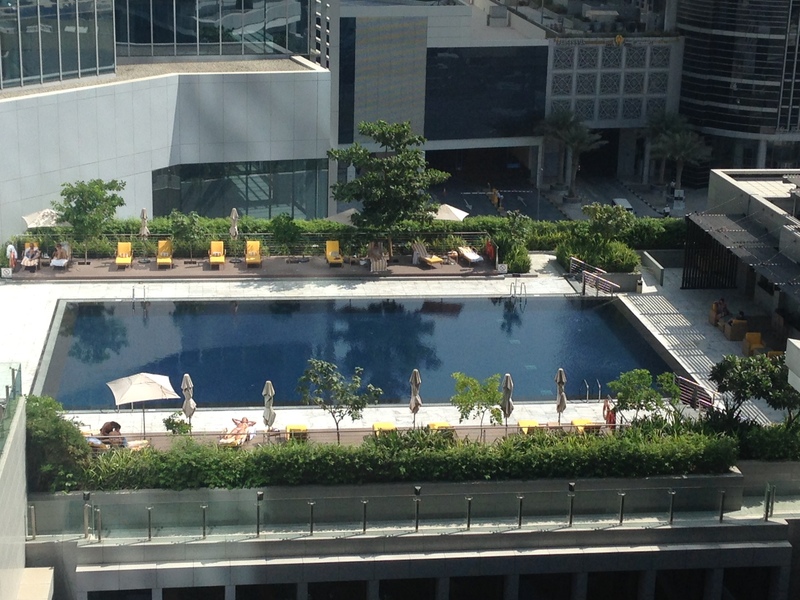 The pool is the nicest I have seen in Dubai and it never felt crowded. 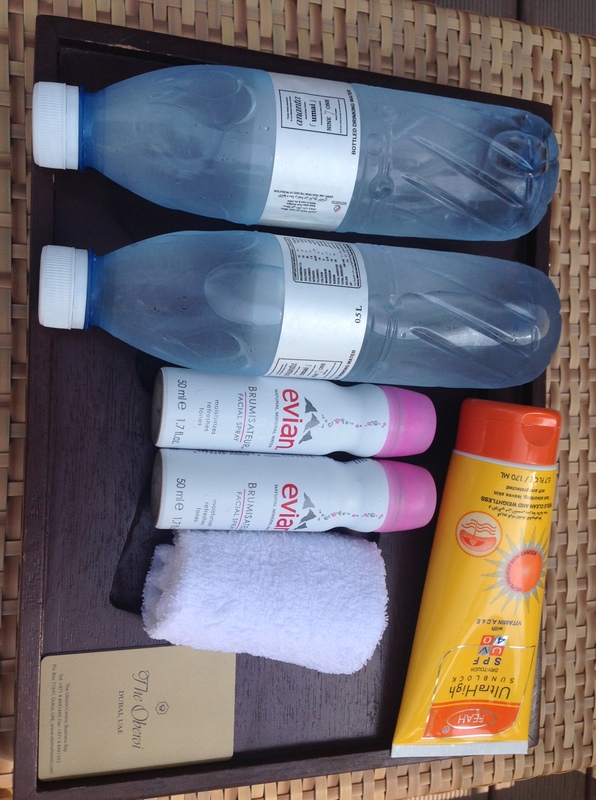 As soon as you enter the stunning pool area they will bring cold face towels and sun cream for your convenience. It are those small things that make the Oberoi Dubai so unique. Another great feature: the spa area. I thoroughly enjoyed my spa treatment… They take good care of you here and make sure you feel most comfortable and relaxed. Every treatment room even has its own steam shower, very impressive! After the treatment I enjoyed my cup of ginger tea. Do make sure you book a treatment while you’re here, you won’t be sorry! 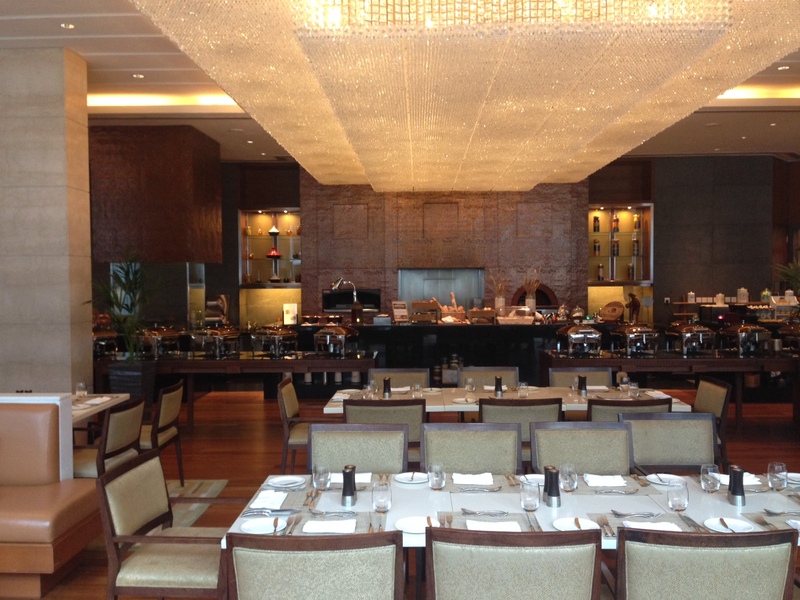 There are a few restaurants at the Oberoi Dubai. All looked very different, but always very stylish. 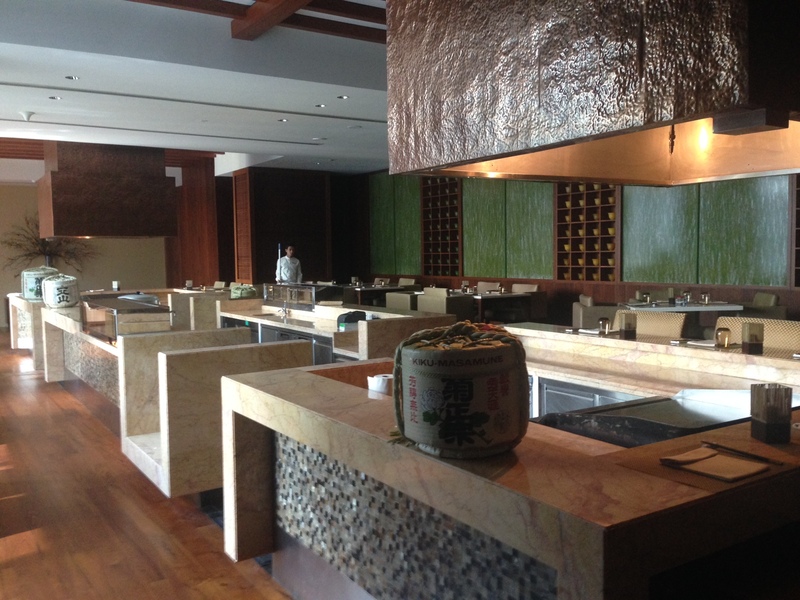 As for their signature restaurants, there are 2 options: either Indian food or Japanese/Chinese food. 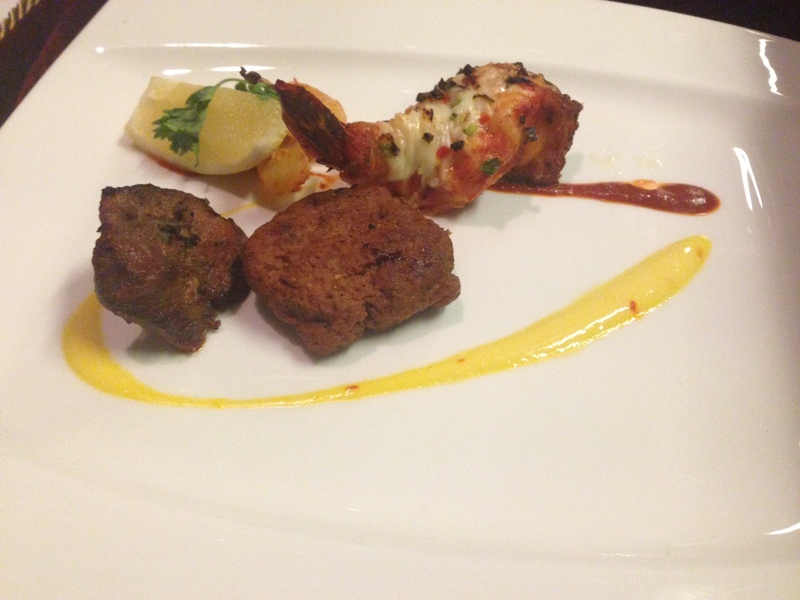 We had dinner at Ananta, the Indian food restaurant. We felt like being in India while seated in this beautiful restaurant. 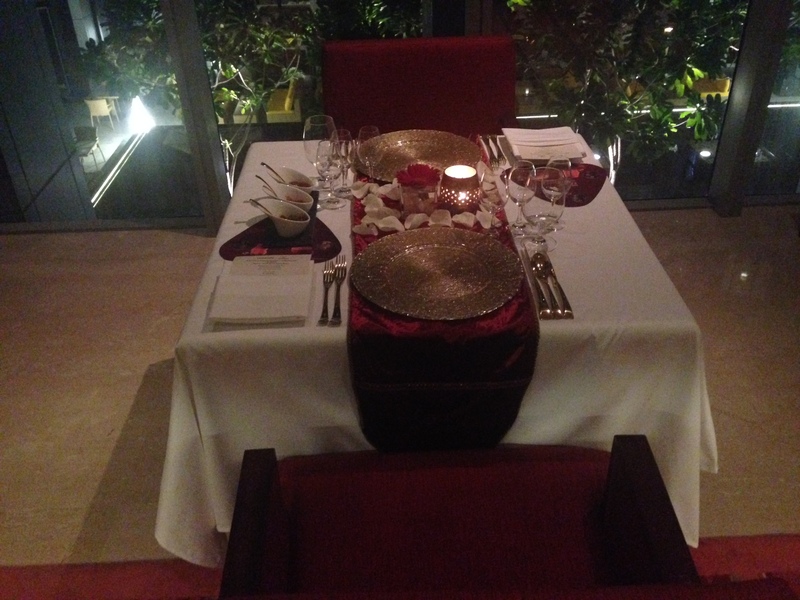 It is one of the top rated restaurants in Dubai and definitely one of the best Indian restaurants in the area. 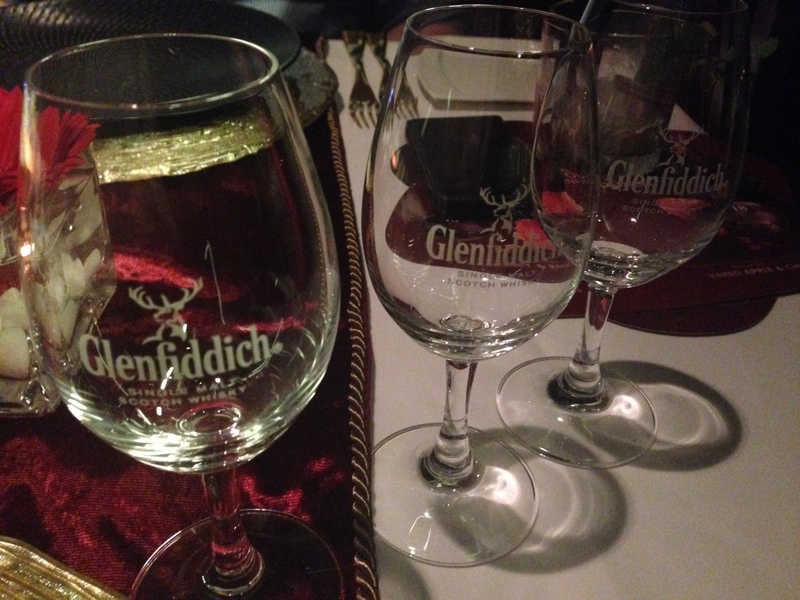 Our menu came with whisky pairing, kind of different and very special. Something you should experience. And once again, the service was top notch. After dinner we went off to bed and appreciated the best turn-down service ever experienced! They even unpacked our suitcases and hung up most of our clothes. The room was cleaned (again) and the good night message made it very personal. 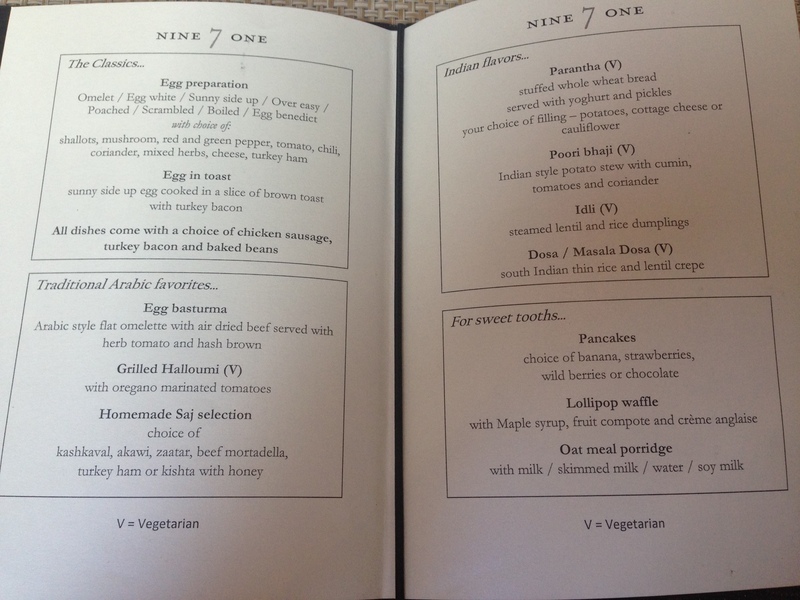 They are doing such a great job by making the whole Oberoi experience a unique one with a personal approach! The next morning after a wonderful night, we had breakfast at Nice7One. Again, very classy and stylish and one of the best breakfast ever. 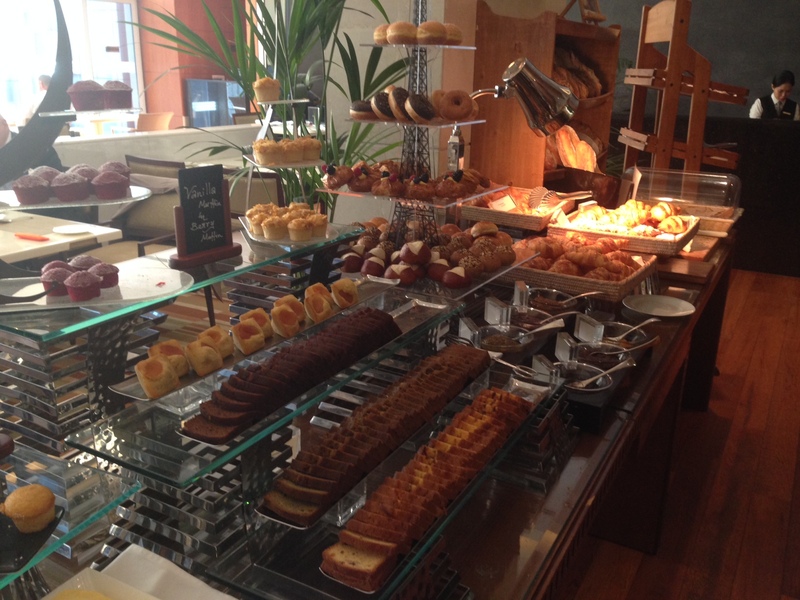 It is a buffet style breakfast with several à la carte options, all presented in a very nice way. Not just one of those ordinary breakfasts, having breakfast here is pleasant and relaxing. Do try their cappuccinos, they are delicious! 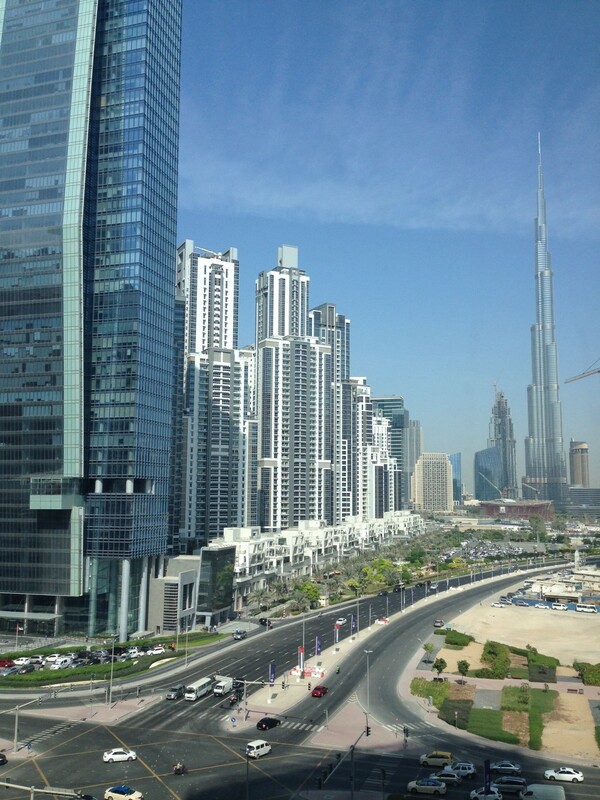 I truly am very impressed with the Oberoi Dubai! It is all about perfection here, from the fresh flowers all over the hotel to the most personal approach one could wish for! 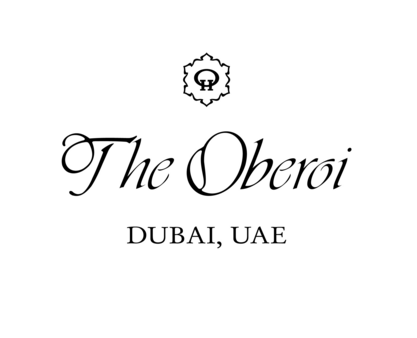 Our stay at the Oberoi Dubai will be a memory that will last forever! 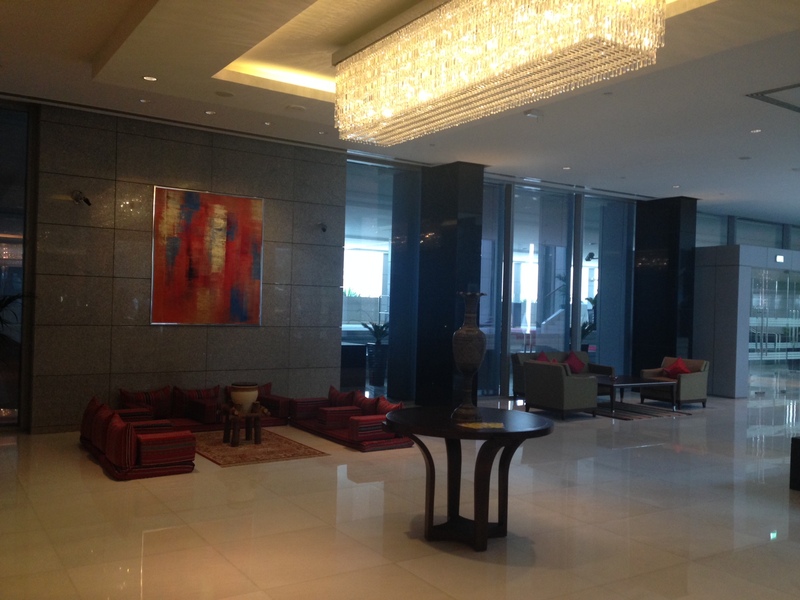 Highly recommended when you are looking for a top luxury hotel in Dubai!